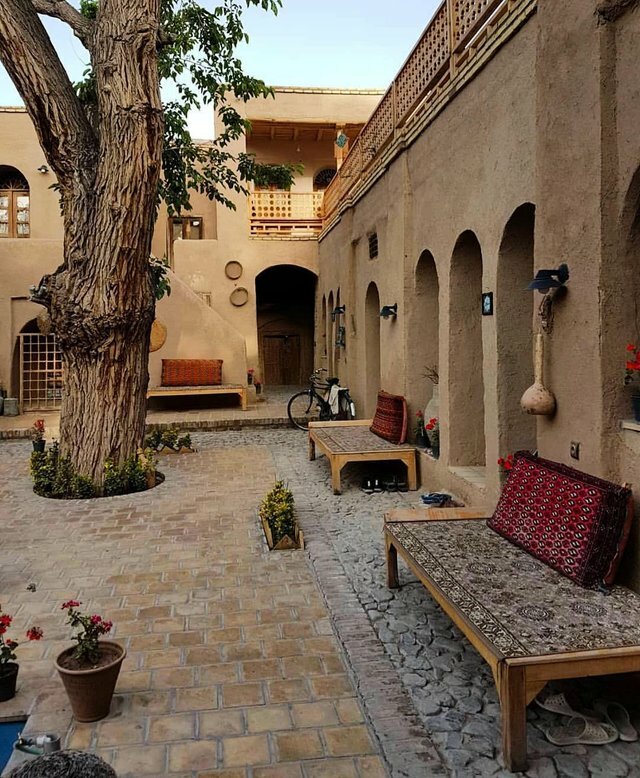 Old House tavasolian Natanz an area of 500m is dating back to the early qajar returns. This home has a 7 room. Two yard home and backyard is the mood old days. Another feature this home historical, there atmospheric water permanent in this House is that of aqueducts inside the mosque in the near this collection is located, comes. This home near the Temple sassanid is located and access guests to the tourist attractions easily possible. Distance this resort to the city of Isfahan also about 133 km is. اقامتگاه خانه توسلیان نطنز در نزدیکی آتشکده ساسانی واقع است و دسترسی مهمانان به این جاذبه گردشگری به راحتی امکان پذیر است. فاصله اقامتگاه بوم گردی توسلیان تا شهر اصفهان حدود 133 کیلومتر است .